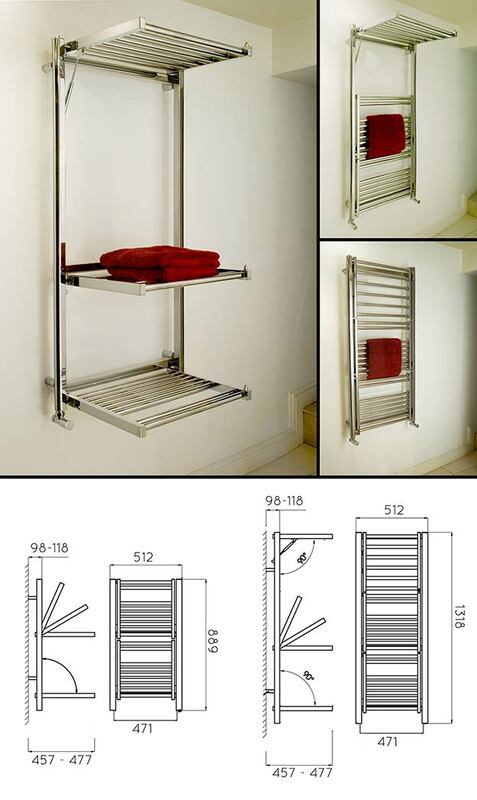 This impressive and unique heated multi level towel rail is supplied in chrome. With its latest state of the art design, this folding towel rail looks stylish both open and closed and is an extremely handy towel warmer in large or space restricted bathrooms. Shown here with 3 folding tiers but also supplied in a 2 tier version. The depth of heating radiator shelves when lowered is 477mm.